This week, Switzerland honors the hangar G of LMAB® 2015. 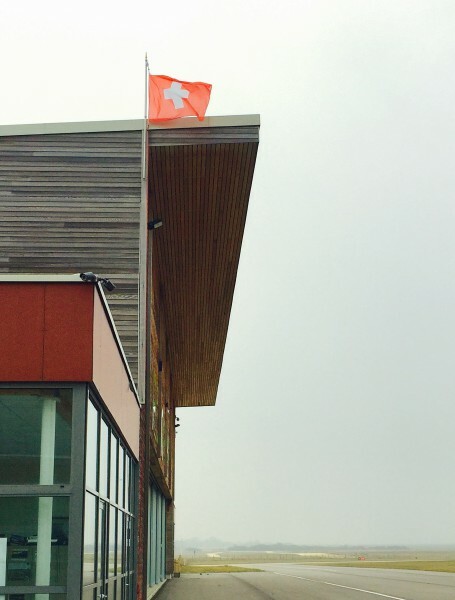 Pilâtre de Rozier Organisation team wished to hoist the red and white flag to congratulate André Borschberg and Bertrand Piccard, the Swiss pilots of Solar Impulse 2. They are trying to achieve a world tour with the first solar aircraft capable of flying day and night, without fuel only the sun. “Bon voyage” to these wonderful pilots! We hope with all our heart that Bertrand Piccard has finished this world tour to participate in the 14th edition of LMAB®!